Apple has just released iOS 7.0.4 with bug fixes and improvements. 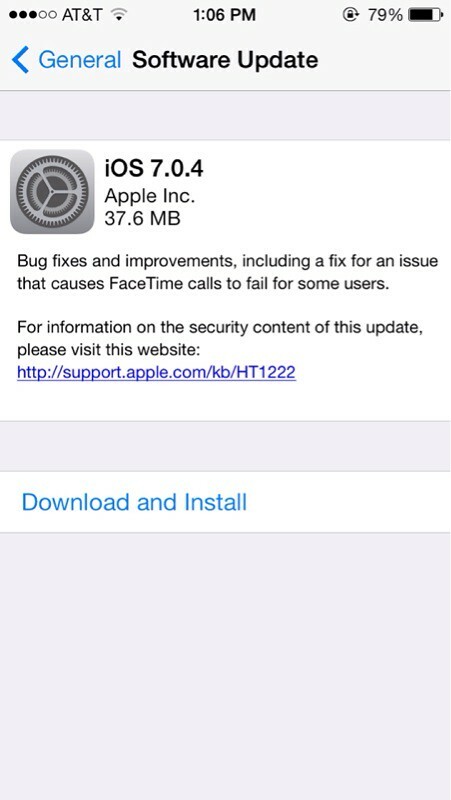 Bug fixes and improvements, including a fix for an issue that cause FaceTime calls to fail for some users. Currently, the update is available via Software Update and we'll be posting direct links to the firmware as soon as possible. Please Let us know if you find anything else new in the comments!